The first of HYHE's spring concerts, our March program will take place at Kinsmen Lutheran Church as part of their Abendmusik concert series. Admission is free, and you are encouraged to join us for a reception following the program. 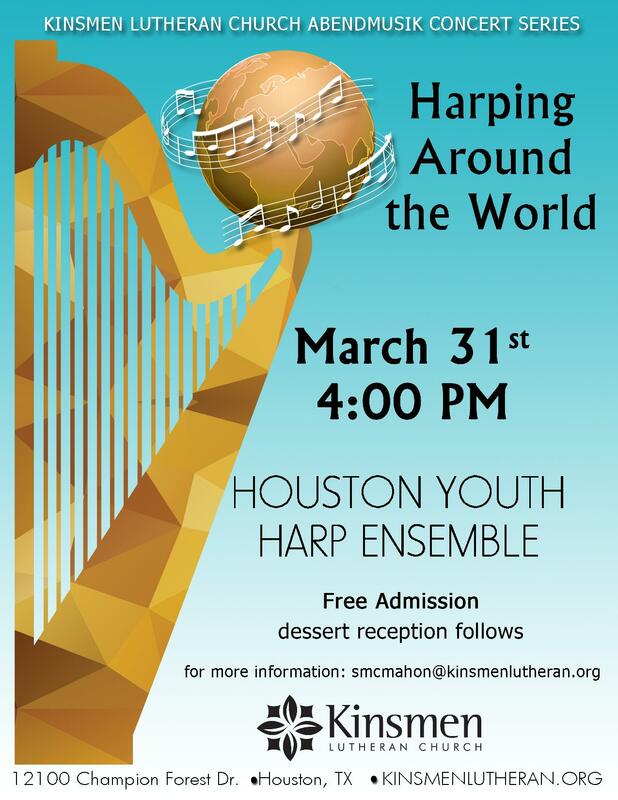 Musical selections will come from Ireland, Mexico, Japan, the United States, England, and Cuba!